Miranda and Caliban is bestselling fantasy author Jacqueline Carey’s gorgeous retelling of The Tempest. With hypnotic prose and a wild imagination, Carey explores the themes of twisted love and unchecked power that lie at the heart of Shakespeare’s masterpiece, while serving up a fresh take on the play's iconic characters. I can't say that I would know of Miranda and Caliban's existence if not for that cover. It was that cover--a thing of pure beauty that makes me want to drool all over the place--that drew me to the book in the first place. I saw the cover, immediately read the synopsis, and was very pleased that the synopsis seemed to promise a story worthy of that cover. All in all, Miranda and Caliban--a book that was literally love at first sight--became one of my most anticipated books of 2017, and when I received an ARC I was ecstatic. So it pains me to say that, as much as I love the outside of it, the inside of Miranda and Caliban didn't go as well. This is a retelling of The Tempest--which means nothing to me. My knowledge of The Tempest is nonexistent aside from knowing that Shakespeare wrote it. I don't know if lack of said knowledge is beneficial or not; I can't judge this as a retelling of The Tempest. But I also don't know if I would've liked it better if I could have made that comparison. Because as is and with what I know, I'm wishing Miranda and Caliban wasn't a retelling of The Tempest--or was, at the least, just inspired by it--and was instead a story all its own. The thing about Miranda and Caliban is that it absolutely reeks with potential. I kept imagining the directions the story could go as it progressed, and I was giddy at the possibility of what could happen--except that none of it did. And my problem isn't that what I wanted to happen didn't; my problem is that I'm not thrilled with what did happen. I was very surprised to start the book and be introduced to Miranda as a young child. I was expecting somebody in the young adult/early twenties range, but I figured this was a little build up to the story to come. But Miranda--and, therefore, Caliban--stayed a child for the vast majority of the novel (for more than half, I swear), and that held the story far, far back. 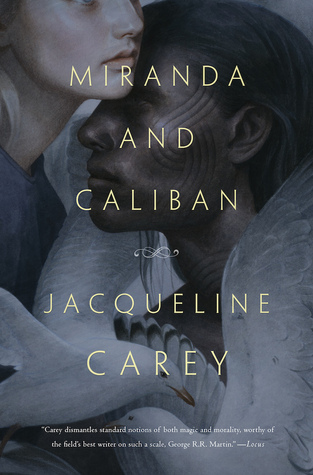 I so desperately hoped Miranda and Caliban would be the kind of book I look at with awe and hearts in my eyes, a book I'd hold close to my heart because it's that special and that good. 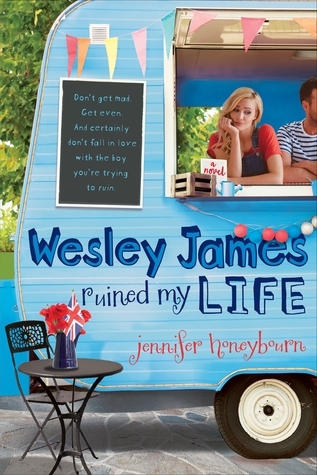 And while I certainly did not dislike what I read--I did like it!--it was just so far from what I expected, and when I imagined what might happen and those dreams didn't come true, I set myself up for failure. I liked Miranda and had a softspot for Caliban, but I so very much needed more from so many aspects of this story and it not getting what it deserved was frustrating. Maybe if I was familiar with The Tempest this may have been more successful. But as someone who isn't familiar with the Shakespeare tale, I am sorely and thoroughly bummed. Would I purchase it? I might have to at some point just because of that cover. Who would I recommend it to? People familiar with The Tempest and/or who like more adult stories with younger characters, hints of magic, frustration, older times, and isolated settings.